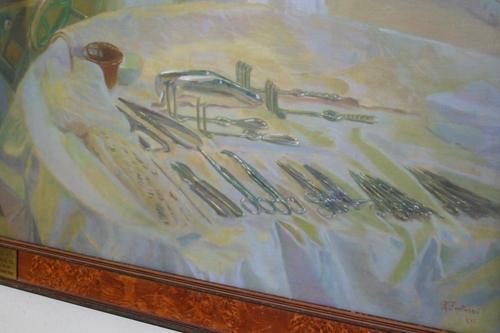 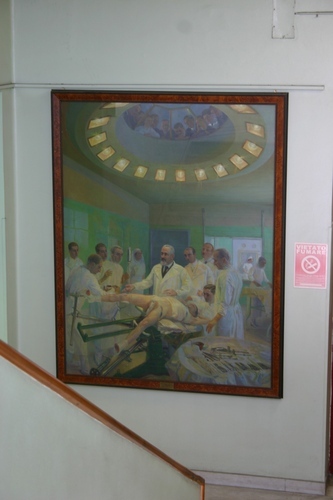 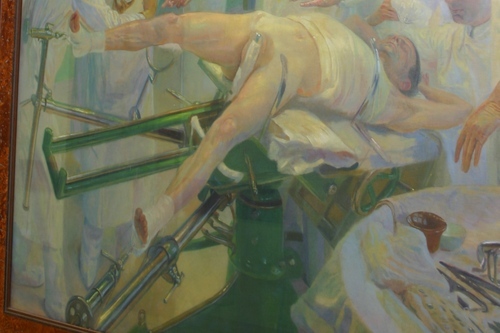 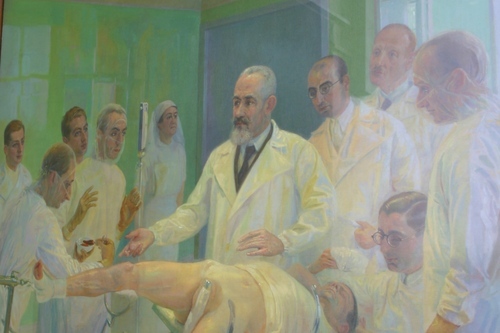 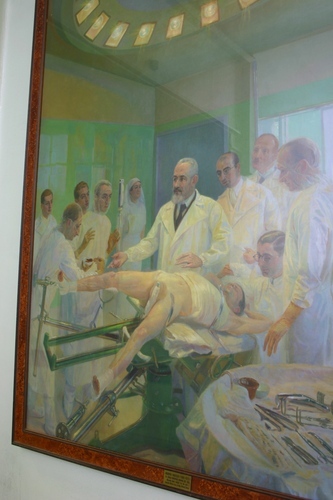 This oil-on-canvas portrait of Riccardo Dalla Vedova during a surgical procedure among his collaborators and disciples, can be seen along the main staircase of the Orthopedics Department of the Policlinico Umberto I, located in a separate building in the nearby Università La Sapienza of Rome. 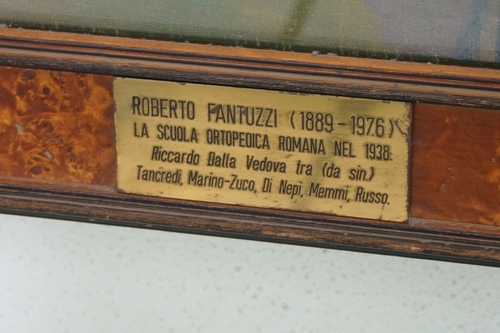 It was made by Italian painter Roberto Fantuzzi in 1938 (his signature is followed by the Roman number "XVI", i.e. 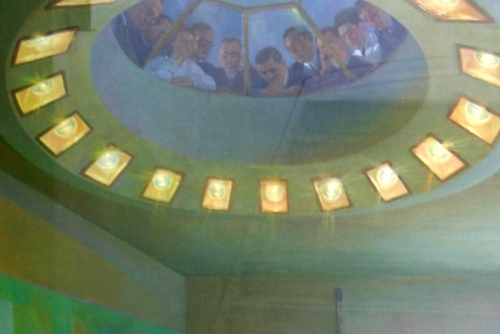 the 16th year of the Fascist Era or 1938).